Early blooming bulbs and the resilient chirping Robin are the early harbingers of spring- welcome reminders that the cold winter won’t last forever. The New Year begins with most consumers relieved to place holiday excesses behind them while they focus on higher utility bills, looming income tax payments and daily doses of chilly weather. There are those wonderfully organized individuals who use this limbo period to assess the needs of their residences and address ways to make their homes run more efficiently all while creating cozy, comfortable nests. The devastation of Hurricane Sandy on the east coast serves as a reminder to us that not all components of Mother Nature transpire to deliver perfect temperatures, moderate winds, balanced moisture and sufficient sunshine. Parching heat and high winds, excessively cold temperatures and fierce unseasonable storms have become commonplace in the most unlikely of geographic locations. Weather change is with us, like it or not, and homeowners of today must be diligent about protecting their investment. One bright spot on the horizon is that Congress has recently given Americans an opportunity to earn tax credits for energy efficient upgradeswhich can serve to protect your home and reduce utility costs.One such incentive involves the Installation of window film affording the homeowner with an option that is both easy to implement of minimal cost and can provide tax credits due to increased energy effectiveness. Of course, it also provides light pollution reduction, glare reduction and improved thermal comfort. Solar control window film can reduce heat gain by a percentage significant enough to reduce monthly energy bills. Window tinting opens homes to natural lighting, warmth and views of the outside world. Tinting reduces UVA and UVB rays up to 99 per cent, protecting furnishings, art and family. Another often overlooked advantage of window films is that they create a safety barrier against glass breakage caused by weather or other impact. Window films can be a viable solution for homeowners not ready to invest in costly replacement windows, while still providing improved home energy efficiency. Homeowners can research options to better understand if and when window film installation will qualify for the tax credit by reviewing a a free consumer booklet that can be found here at the nonprofit International Window Film Association (IWFA) website. Darrell Smith, executive director of the IWFA has expressed his delight in Congress passing the American Tax Relief Act of 2012 and reminds homeowners that “window film has been shown to be a most cost-effective means of improving energy performance.” Informed consumers can assess the benefits of window tinting and tax credit applicability by studying the various options. In some cases, the homeowner may also qualify for a utility rebate. At its’ most basic level, taxpayers may deduct 10 percent of the cost of installation of window film up to a maximum of $500.00. 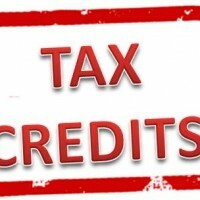 As the daffodils emerge and homeowners begin spring cleaning, one home improvement that is both cost effective and offers a tax credit can certainly be an attractive incentive for addressing both the hot summer and next winter cycle ahead.